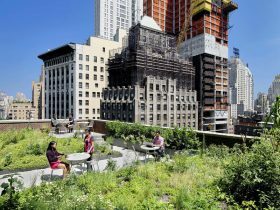 Some of the leading voices in architecture, real estate, city planning, and design will meet next month for a two-day symposium full of panel discussions and interactive workshops. 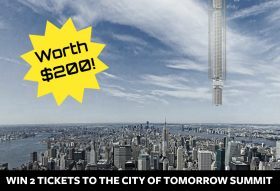 Presented by the 92nd Street Y and Hundred Stories PR, the City of Tomorrow: Real Estate, Architecture & Design Summit features conversations with renowned architects like Rafael Viñoly and Annabelle Selldorf, restaurateurs José Andrés and Missy Robbins, developer Steven Witkoff, and dozens more. 6sqft has partnered with the organizers to offer two lucky readers a pair of tickets to the March 15 and 16 conference. 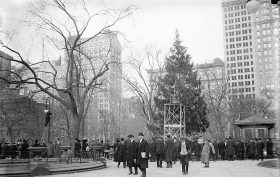 Did you know the nation’s first public Christmas tree went up in NYC? Or how about the fact that Santa Claus was born here in both literature and drawing? And have you seen the famous restaurant decorated with 15,000 Christmas ornaments, 10,000 lights? Join 6sqft’s managing editor Dana Schulz for her Christmas in Gramercy tour with the Municipal Art Society to see and learn about all this and more. Taking place, Saturday, December 15th, the two-hour event will reveal the surprising origins of our most beloved holiday traditions. 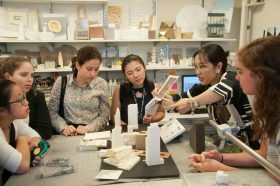 Open House New York Weekend is back for its 16th year from Friday, October 12th through Sunday the 13th, with an impressive roster of tours, events, and access to typically off-limits sites. Yesterday, reservations went live for the 123 reservation-only sites, but there are also close to 150 open-access sites, including the Brooklyn Navy Yard, the Dime Savings Bank of Brooklyn, and several architecture offices. And while these open-access sites don’t require reservations, the lines can build up. 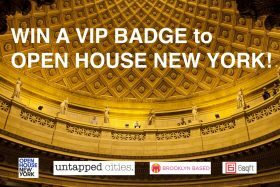 Which is why 6sqft has teamed up with Untapped Cities and fellow partner Brooklyn Based for a giveaway of two OHNY Weekend Passports, a VIP pin that lets you and a guest have front-of-the-line admittance! 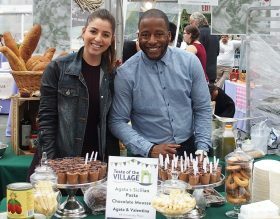 The 16th annual Taste of the Village is back next month with the chance to sample food and drink from 30+ local establishments, all in a magical setting under the Washington Square Arch. 6sqft has teamed up with the Washington Square Park Conservancy to offer two lucky readers a set of VIP tickets to the event–which is worth $270 and provides one-hour early access to the event on October 4th plus a special taste. This year’s roster includes longtime favorites like Murray’s Cheese, Otto, and Rafetto’s Pasta along with hip newcomers including Stumptown Coffee Roasters, Tacombi, and Mekki. Find out how to enter! There’s probably no neighborhood in NYC more associated with the history and current success of the comedy scene than Greenwich Village, and here’s a chance to hear some of today’s top comics in one of the neighborhood’s most iconic venues. 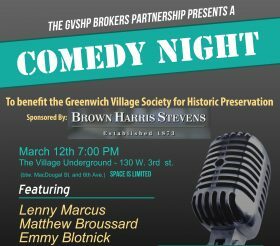 On Monday, March 12, GVSHP’s Brokers Partnership will hold their fourth annual Comedy Night at the Village Underground, featuring comics Emmy Blotnick, Matthew Broussard, Phil Hanley, Matteo Lane, Lenny Marcus, Brian Scott McFadden, and more to come. The Greenwich Village Society for Historic Preservation is offering one lucky 6sqft reader the chance to win two tickets to the event–worth $90! After a highly successful inaugural year, the 92nd Y and Hundred Stories PR has announced the return of “City of Tomorrow: Real Estate, Architecture & Design Summit.” The two-day conference brings together today’s foremost architects, real estate developers, and design innovators to “explore new departures, trends, and initiatives for the NYC landscape.” This year’s 50+ speaker lineup includes architects such as Robert A.M. Stern, Daniel Libeskind, and Billie Tsien, interior designers Anthony Baratta, Ken Fulk, and Ghislaine Viñas, and developers Ziel Feldman of HFZ Capital Group and Ken Horn of Alchemy Properties. The group will discuss everything from adaptive reuse to the future of Penn Station and will provide a first-hand account of some of NYC’s most anticipated projects, including Hudson Yards’ sculpture The Vessel, the Lowline, and Pier 17. 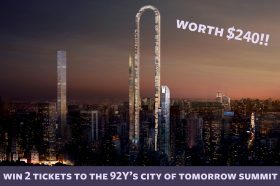 6sqft has teamed up with the 92nd Y and Hundred Stories to offer one lucky reader a pair of tickets to the conference–worth $200! For the past 26 years, the New York Botanical Garden has been putting on their annual Holiday Train Show, set against a backdrop of 150 NYC landmarks, each re-created with bark, leaves, and other natural materials. 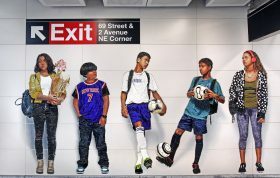 In addition to classics like the Brooklyn Bridge and Statue of Liberty, this year’s exhibition showcases new replicas of iconic Midtown skyscrapers, including the Empire State Building, Chrysler Building, General Electric Building, and St. Bartholomew’s Church. And while this is certainly a magical treat for children, NYBG puts on something special for adults, too. 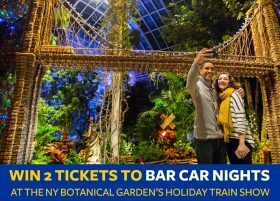 The 21-and-over Bar Car Nights are after-dark viewings of the Train Show, complete with seasonal bars, the all-new Visitor Center Fire Pit, live dueling piano performances in the cafe, and illuminated Snow Globe Dancers that will guide your through the grounds. Sound like fun? The Garden is offering three lucky 6sqft readers a pair of tickets to these special evenings.